CHG AND OLIVA NOVA BOOST IMAGE AT SIMA AND THE DÉNIA SALÓN NÁUTICO BOAT SHOW. 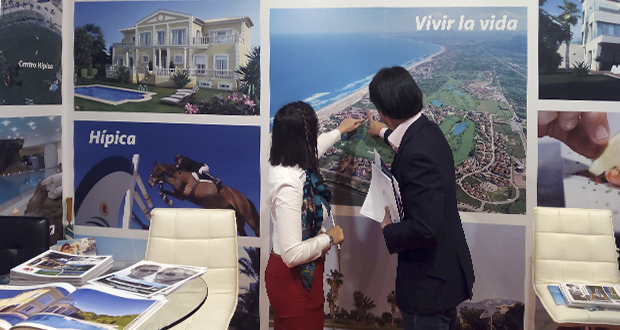 CHG exhibited with a stand at the Madrid International Real Estate Exhibition (SalónInmobiliarioInternacional de Madrid - SIMA) between the 5th and 8th of May. Our wide range attracted interest both from national and international public and we particularly noted a strong interest from the representation of Middle-Eastern and Oriental countries thanks to our unique location, exclusive offering and innovative after-sales service. Oliva Nova Beach & Golf Resort was represented with a stand at the SalónNautico de Dénia Boat Show between the 29th April and 2nd May in the Denia Port and Sports Marina. There we promoted, with great success, our full offering of real estate, hotel and resort, restaurants and free time activities.